Home Opinion Who is Nigeria's New Generation Music Great? Who is Nigeria's New Generation Music Great? Sultan and Wande Cole, we can't help but outline who wears the modern day crown in the Nigerian music world. There has been so much outspokenness and tussles about 'who the best is'. 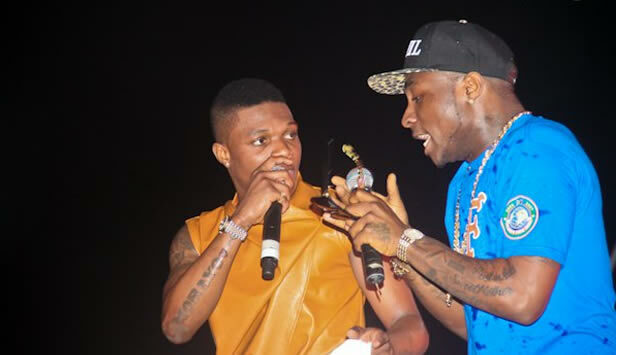 It has been a battle of the titans on who the best is;Wizkid and Davido have been repping the nation on the global platform as they have been amassing collections of awards to the pride of the nation. Olamide has been mesmerizing on the local scene with little or no international recognition. He once said he didn't give a hoot about collaboration with international acts and he made a perfect example of a one man soldier like 'Fela'.The bariga born rapper has drawn lots of love and fans as he signifies himself as the voice of the streets. Techno has been a force to reckon with,both in singing and production. He ensures he creates monster hit after hits and he was recently spotted with Drake.Who knows what the crooner is cooking in the cooking pot?Could it be another badass hit?.He has walked his way to the top and deserves a bragging right of wearing the crown even though most people will dissaprove of that validation. So who wears the crown?who is deserving of being a new school king? Kiss Daniels that debuted in the G-worldwide emblem has continually dished out steady hits and has been a humble soul in the music scene.Just leaving his former record label,he has taken further steps by owning his record label "FlyBoy records inc". He seems to have a blend of a new generation 9ice and 2baba as his music soothes the soul of lovers and fans. In all the acts enlisted, which one tickles your fancy as the king of the new school.They have all performed very excellently and can represent the nation anywhere in the world.The music world is one of the few positives the country has witnessed and it will be eagerly anticipated as to who is king?who is the Biggie and PAC of the industry?Who is the 5*general of the industry?.